Moving into a new home can be thrilling and awe-inspiring. However, at Abreeza Place (a premier residential condominium development featuring state-of-the-art facilities to cater for your specific needs), you can select a truly hassle-free experience. With Abreeza Place, you are likely to find solace in opulent gardens and freshness in blasé waters. The project is diverse in terms of stylish shopping options and inspiring designs. The promise of designing and developing a revolutionary residential project along the famous Davao City (also referred to as Philippines’s Fruit Basket) is fast becoming a reality, as Alveo Land Company continues to follow their vision of creating a lifestyle that instills heritage into modern convenience. The Abreeza Place’s prime location offers you with an intimate and tranquil living lifetime experience since it is situated close to major malls/supermarkets, hotels, hospitals and much more essential facilities .The city features premium entertainment joints. Aside from that, this residential condominium is in close proximity to necessary places you need schools, financial institutions, and an array of business centers. Davao city pays homage to a memorable landmark in the name of The Abreeza Place. Designed using contemporary innovations, this incredible residential condominium development looks set to let you enjoy the full lifestyle. With the escalating need for residential projects offering harmonious neighborhoods, kid-friendly environment, as well as a slower, but a more-relaxed pace of life, it seems the designers of this property were up to the task by addressing these must-have necessities. Alveo Land Corp is a leading real estate brand under the top real estate developer known as Ayala Land, Inc. It’s one of the most reputable development companies in the Philippines. This Corporation prides itself in designing and actualizing some of the finest urban living solutions in the entire nation. With their strong emphasis on achieving comfort and convenience, all Alveo Land Corp’s development projects are located in prime locations, offering essential services as well as amenities to unit owners. The company was started in 1995 and was targeted at addressing housing needs in an urban setting. They specifically design and develop state-of-the-art, upscale as well as innovative master-planned gated communities to address the ever-rising demand for a typical cosmopolitan lifestyle, especially by young professionals plus young families. Some of the finest projects by Alveo Land Corp include the Marquee Residences plus Marquee Place. With the main focus on class, innovation, and creativity, this real estate company devotedly caters to each aspect of their client’s needs by providing passionate modern lifestyles. Their determination to develop top residencies has enabled them to earn an excellent reputation in the real estate industry. They offer a range of nicely designed, strategically located and classy living. ALVEO LAND CORP combines modern designs with comfortable spacious units (the units are within miles from the city’s CBD) to offer perfect homes for the urbanites. ALVEO LAND CORP’s projects are located in close to major joints. The Abreeza Place: Everything within moments away from your home. Situated at the heart of Bajada, Davao CS (one of the provinces of Davao Sur), The Abreeza Place is surrounded by key spots ranging from those for leisure, entertainment, business, healthcare, to education. The Abreeza Place can be accessed through the J.P.Laurel Avenue and is just a short drive from key roads like the Dacudao Avenue, The Circumferential Road, as well as the Bacaca Road. The city is surrounded by some of the most vibrant networks of business, lifestyle, as well as commercial establishments. This residential condominium development is strategically located to give you unlimited access to dependable hospitals such as Davao Medical Hospital, San Pedro Hospital, and Medical Center of Southern Philippines. Your kid is also well catered for since there are premier schools in the nearby including Davao High School, San Pedro College, Assumption College of Davao, Stella Maris Academy, among others. This place is a perfect blend of a peaceful plus serene environment accessorized with contemporary amenities as well as a convenient location to yield a uniquely designed property to bring the charm of the past and the comfort of the future. The charming atmosphere of an adored past meets a refreshing metropolitan destination. The Abreeza Place lets you celebrate a new experience. Moreover, with this residential condominium, you can enjoy the gift of living in one of the finest cities in the Philippines while leveraging on the numerous amenities that are actually executive and second to none. In a nutshell, The Abreeza Place officially welcomes homeowners home. The Abreeza Place is full of fantastic options ranging from one to three bedroom units. Some of the select units feature a balcony plus floor-to-ceiling windows. This offers residents a chance to indulge in viewing the sunset and the fine-looking city skyline. 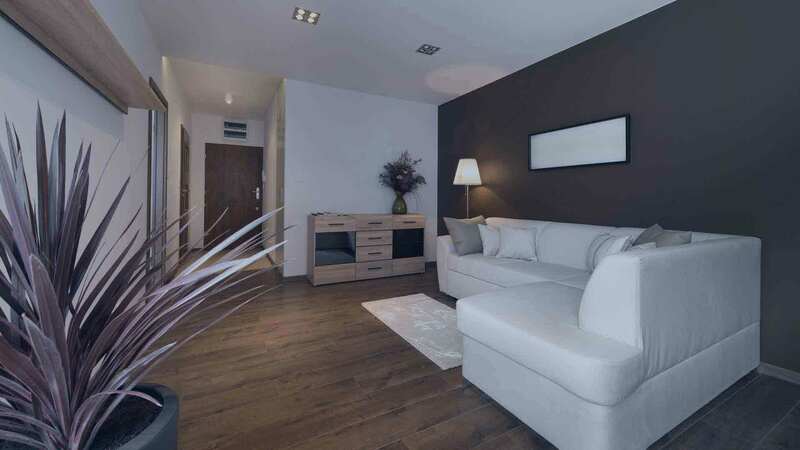 Moreover, there is a studio unit which measures around 31sqm. All one bedroom units measure 44sqm while the two bedroom square unit measure 79sqm. If you want more space, then the three bedroom units might be the best option. They measure around 125sqm. Indeed, the Abreeza Place promises to redefine your living experience even more. Open and airy spaces that are reminiscent of the idyllic and impressive atmosphere of Philippines past days look set to continue from the vicinity of The Abreeza Place via the residential condominium’s executive 1-bedroom, comfortable 2-bedroom, eccentric 3-bedroom, and mind-blowing studio units. All the units (1-3 bedrooms plus the studio unit) feature an entrance panel door plus a viewer and an intercom per unit that has been connected to the security and reception counter to ease your communication in case you need your great wine or have that important visitor whom you want to spoil during the weekend. This landscaped and easily accessible property looks set to present you with a tranquil resort atmosphere .With key establishments and institutions in the vicinity, the Abreeza Complex looks set to give you a perfect city living where you can call home. The Abreeza Place is complete in terms of indoor & outdoor amenities. This offers residents with fun and relaxing activities. Talk of an adult swimming pool not forgetting the kids’ pool. Moreover, this property has been landscaped with modern garden decks roof deck gardens, plus a podium garden. The live-work-play (LWP) concept is what The Abreeza Place Davao is all about. Live in a wholesome and enjoyable setting while working near your workplace, afterwards, relax while you play. The amenities therein provide an eternal happiness and total relaxing mood to the whole family for the years to come. The Abreeza Place, own and operated by the Alveo Land Company (an Ayala Land Corp. subsidiary), is a residential condominium development highly recommended for people working around and near Davao City's workplaces (2-km radius). The project is located in Bajada District, Davao City, Davao del Sur, amidst the backdrop of Mt. Apo, this enclave is also nature bound and full of lush gardens. This location is one of the most famous among the other business districts in the city. Here, many establishments are opening their shops to compensate for the city's rapid economic growth. Davao City, called by one of its nicknames as the "Fruit Basket of the Philippines", is primarily a port city and adjudged one of the "Safest Cities to Live in Southeast Asia" in 2015. The Abreeza Place sits on a 13,962sqm of prime property in the middle of the city. The project is comprised of a single tower with 26 floors of residential condo units. There are only a total of 398 condo units offered, the lowest occupation density across the region. This low-density occupancy means higher degree of privacy for the residents. Units are classified as Studio, 1-BR, 2-BR and 3-BR residential units having sizes ranging from 31 to 57sqm of floor area. The units have 1-2 T&B; there are provisions for balcony, utility room, washing and drying rooms for selected units. All units are provided with living, dining and kitchen spaces. This residential community has the most spacious units compared to most condo units in the area. The outdoor and indoor amenities are also the best in the city which are child-friendly, that include adult and kiddie pools, pool deck, landscaped podium gardens, roof deck garden, clubhouse, indoor playroom at kid's house, open lounge, function rooms, fitness gym, multi-media room, game room, lobby and lounge areas and so much more. Davao hospitals have the finest service among most hospitals in the country and they are located near the project, the likes of Southern Philippines Medical Center, San Pedro Hospital, Davao Medical School Foundation Hospital, Metro Davao Medical and Research Center and Brokenshire Hospital. Lots of learning institutions are so close so the Abreeza Place's site, such as the Stella Maris Academy, University of Southern Philippines, San Pedro College, Assumption College of Davao, Ateneo de Davao University, Davao Central High School, Davao Christian High School, Davao Medical School Foundation, Inc. and the Holy Cross of Davao College. Churches also abound in this city and located close to the project, the likes of the Sacred Heart Parish, Sta. Ana Shrine and the Redemptorist Church. Shopping, entertainment and leisure centers are some of the bloodlines of Davao City and several of those could be found near the site, such as the Gaisano Mall of Davao, Robinsons Cybergate, Victoria Plaza and the Abreeza Mall, SM City Ecolnad and SM Lanang Premier, among others. Some of the business and industrial centers within the 2-km radius from the project include Landco Corporate Center, Pryce Business Park, Abreeza Technohub and the Davao Convention Center, just to name a few. Efficient live chat agents on this site is monitored by Help Desk 247. Alveo Land Abreeza Place in Davao City, Philippines is a premier Condo project available for sale. If you're looking to rent or purchase Abreeza Place, then check here first. We have full details of Abreeza Place updated regularly as well as everything you need to know about the availing and booking process, broken down into stages that includes selecting a unit, choosing a payment plan and buying your dream home at the right price. For price list, free site tripping or showroom visit, personalized service, model house, unit plans, floor plans, payment terms, CHAT LIVE with an agent 24x7. We are Remax Perfect Homes. Always only buy from PRC licensed Real Estate Brokers and Agents. The Alveo Abreeza Place is a condo for sale in Davao City that offers one of the most diverse amenities in the region. This condo community is not just a great place to start and rear a family, it is also a terrific venue to have a clean and healthy living while you attend to your work all at the same time. Is that possible? At the Abreeza Place, nothing seems impossible. The site offers one of the most diversified community amenities right at the heart of Davao City, that include a swimming pool, adult pool, kiddie pool, landscaped podium garden, roof deck garden, pool deck, clubhouse, fitness gym, function rooms, multimedia room, game room, lobby and lounge areas, 24/7 security, and so much more! You really have a stable investment while still advancing your career. Located in one of Davao City’s busiest districts, the Abreeza Place could be found in the Bajada locality of this premier city. Here, everything is within arms’ reach, such as several workplaces (LandCo Corporate Center, Abreeza Techno Hub, Pryce Business Park, among others), shopping and entertainment centers (SM City Lanang, Robinsons Cybergate, Gaisano Mall, SM City Ecoland), and educational and medical institutions (Ateneo de Davao University, Davao Medical School Foundation, Holy Cross of Davao College, University of Southern Philippines, Davao Medical School Foundation Hospital, Brokenshire Hospital, and among others). The site is literally a breathing community where you could live harmoniously with nature and its man-made wonders, work within your neighborhood, and play while enjoying the perks and luxury of recreational amenities, right at your own home. Owned and operated by Alveo Land Corp. The Abreeza Place is among the most prestigious condos in Davao City owned and developed by the country’s premier property developer, the Alveo Land Corporation, a subsidiary of the Ayala Land Corp. This partnership also operates the residential community so you are sure of an efficient property management from top to bottom. Your investment will allow you to be in partnership with the Philippines’ giants in the real estate industry that not only deliver what they promise but also delve into every need of its clients creating a reliable and effective management system. Where else in the globe could you find a world-class condominium community with a first-class amenities and facilities that offer the friendliest payment options? Only the Alveo Abreeza Place Davao could offer such payment schemes. Owning a piece of this colossal residential community will give you an option to pay in cash with 10% discount from the TCP (total contract price) payable in 30 days without interest commencing after you pay a similarly low reservation fee (this will be deducted from the TCP). Moreover, if you can’t be able to pay in cash, there are still 8 other payment options that you can choose from. Contact our expert real estate brokers on this website about other payment schemes.